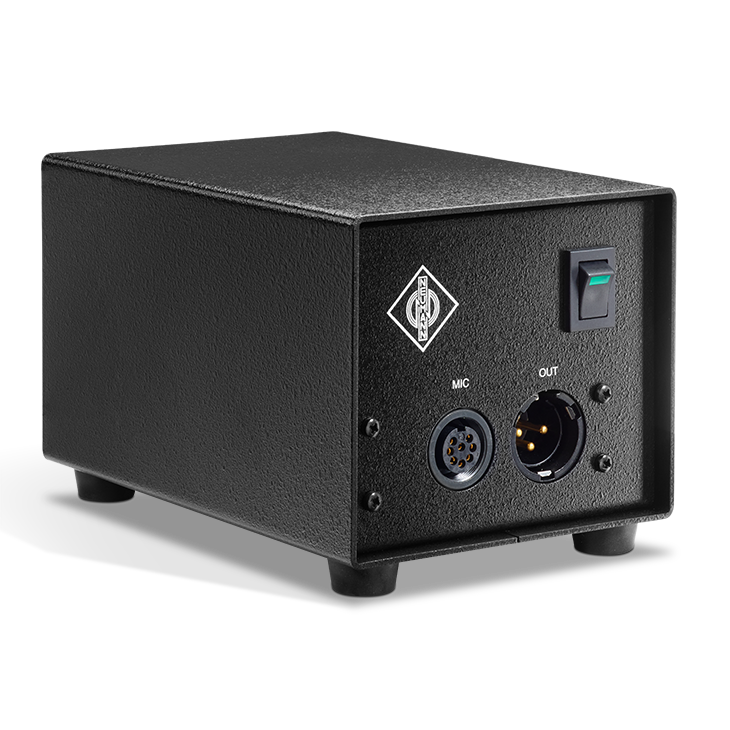 The N 149 A power supply generates the necessary operating voltages for M 147 Tube, M 149 Tube or M150 Tube microphones. It operates with all mains voltages from 100 V to 240 V, 50 or 60 Hz. Mains power is connected through a standard IEC 320 socket. The microphone connects via an DIN-8 connector. The unit produces constant current effecting a soft start of the tube. The KT 8 cable between microphone and power supply can be up to 100 m long. Modulation cable lengths up to approx. 300 m are allowed.The three available versions of the N 149 A just differ in their enclosed mains power cable.